Being single can be difficult, even with the myriad of dating apps at our fingertips, spam bots “matching” with us, people in relationships wanting you to be their bit on the side, it can get tough. Liverpool Arts Society wanted to solve this, why should couples have all the fun? 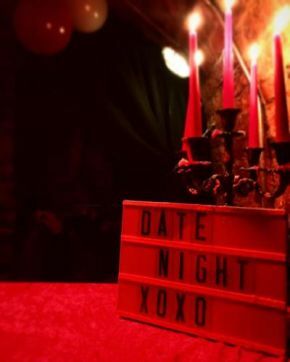 They held Date Night this past Friday night, singles were encouraged to attend in a cool effort to find their other half, speed dating, blind dates and general chit chat where the methods in play. There was live music to groove to, drinks flowing and balloons filling the dance floor. Filling in a love questionnaire was quite fun, interesting questions in a playful bid to matchmake, there was also a wall full of tales of love stories gone bad, great conversation starters for all looking for their other half on the night. The blind date experience was quite interesting, 2 people at a time were blindfolded, guided to a seat and sat opposite their potential mate, 5 minutes were given in a bid to get to know prospective dates, after the date, singletons had to try and find their date in the bar based on what they found out about each other. All in all, it was quite the fun night, it appeared to be a success and some couples were indeed formed on the night, which can only be a positive! Liverpool Arts Society have said that future Date Nights are planned and just like Friday, more sparks will surely be flying in the near future. Be sure to give Liverpool Arts Society a Like on Facebook and stay tuned in to all of their events and other goings on. While you’re on there, click that groovy Like button on our Facebook and stay tuned for our news and events. We’re also on Twitter @PurpleRevolver, so be sure to follow us for all of our cool happenings.